Gibson Dunn | Pathak, Jai S.
Jai S. Pathak is the Partner-in-Charge of the firm’s Singapore office and the Pacific Asia region. He is a member of the firm’s Corporate Department and its Mergers and Acquisitions Practice Group and has served as a member of the firm’s Executive Committee. Mr. Pathak has extensive experience in cross-border mergers and acquisitions, takeovers, dispositions, privatizations, joint ventures, licensing, infrastructure development, as well as private equity and structured finance transactions. He has significant experience in the telecommunications, IT, banking, hospitality, oil/gas, pharmaceutical and chemical industries. His clients have included governments, financial institutions, investment banks, multinational companies and U.S., European, and Asian companies. His practice has included projects in the United States, Europe, India, Southeast Asia, Latin America, Canada, Australia, China and South Africa. Mr. Pathak previously practiced with Jones Day since 1985, where he was a partner heading the transactional practice in Los Angeles and coordinating the M&A section for the California region. He previously served as head of that firm’s India practice and partner in charge of the Singapore office. He also spent more than a decade practicing in that firm’s London, New York and Cleveland offices. Chambers Global 2019 also ranks Mr. Pathak as Foreign Expert for India in the category Singapore: Corporate/M&A. Best Lawyers 2019 recommends Mr. Pathak as a leading Singapore lawyer for Mergers and Acquisitions Law, Banking and Finance and Finance Law. IFLR1000: Financial and Corporate guide 2018 recognizes Mr. Pathak as a leading lawyer for M&A in Singapore. Asialaw Leading Lawyers 2013 identifies Mr. Pathak as a leading lawyer in Singapore. Asian Legal Business’s Legal Who’s Who Singapore 2003 awarded Mr. Pathak the “Best Corporate Lawyer” award. The Indian Council of Jurists presented Mr. Pathak with the “National Law Day Award – 2001” for his unique contribution to the development of Indian corporate law. 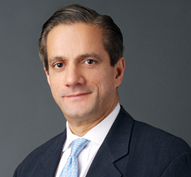 The American Lawyer named Mr. Pathak in its February 2009 issue to its Top 20 Lateral Partner Hires list for 2008. Mr. Pathak graduated from law school (B.A. (Hons. in Jurisprudence)) from Oxford University in 1984 (M.A., 1989) and received his LL.M. from the University of Virginia in 1985. He previously earned his B.A. (Hons.) and M.A. degrees from the University of Delhi and Jawaharlal Nehru University, New Delhi, India.